Chemical peels to address sagging skin, pores, age spots and other concerns. Skin tightening will create mild facelift. Wrinkle subcision is also called “cheap facelift” – by eliminating wrinkles of central face, the fresh look is achieved. Fat dissolving of lower face will provide facelift by shifting balance of the face up (no fat weight is dragging face down). Mono threads by building stronger and thicker collagen threads along the thinning skin areas with wrinkles. Creates carcass of the skin architecture. 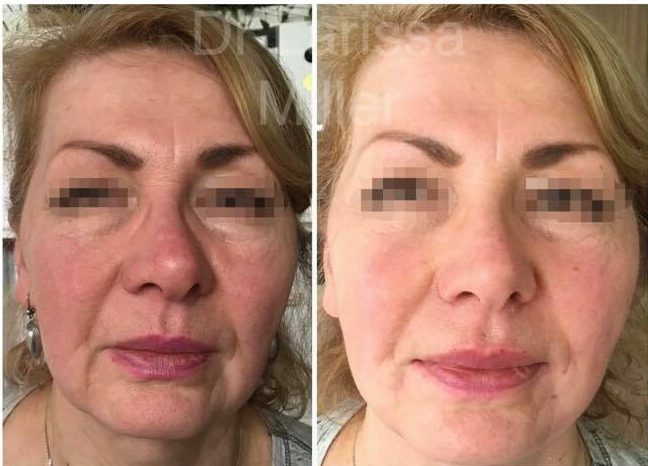 The process of non surgical lift can be not as dramatic and fast, but without many risks or downtime, like with peels and biorevitalisation/ Some procedures have more downtime, but more permanent and visual effect, like wrinkles subcision. I’m in 50-60s age group, is non surgical facelift appropriate for me? It’s never too late to be the best version of self! However, we have to be realistic in cosmetic outcome. Usually it takes time before cosmetic doctor will build the “basement” of the face and restore an aging process. Cosmetic patients who regularly maintain, achieve more results with less investments. When someone come late in life (in 60s) without previous treatments, they should be patient and motivated to restore aging process. VISTA Clinic Australia Melbourne philosophy for ladies in 50-60s years young is to achive as natural as possible result. If cosmetic doctor done their job right, nobody should see that job is done. You just look fresher, may be a little, within 5 years younger, less tired. I’m afraid that I would look fake or with “duck” lips. What can you advise for me? “Natural looking” appearance is the most popular request with our Melbourne patients. Different cultures have various standards of beauty. When Dr Larissa Miller was in USA for American Cosmetic Training, the trends there were to have more intense, dramatic look with cosmetic procedures like big lips, significantly augmented breasts, sharper cheeks (so called Hollywood vector cheekbones). For american cosmetic patients,, it is important to show that they have money for luxury like cosmetic treatment. Aesthetic medicine access is a status symbol, along with expensive watch or car. European and Russian cultures are more promoting natural look of cosmetic patients. In some cases, it can be a lot of procedures done, but overall appearance is natural, like person was just lucky to be born like that. VISTA Clinic Australia Melbourne approach is rather to ensure harmony look of our cosmetic patients with respect to natural proportions, age, wishes of our patients. If job is done well, nobody should see that any cosmetic job is done. What are options for cosmetic non surgical face lift? There are many modalities available in modern cosmetic physician hands (we are still not magicians, but getting there). All options are for educational purposes only – VISTA Clinic Melbourne experienced physician will discuss best treatments for your individual face. We are trained to do all cosmetic procedures legal in Australia, therefore you can be sure in the best treatment plan. Dermal fillers injections of hyaluronic acid (lasting 6 months – 1.5 years) to create volume in a right places and refresh wrinles. 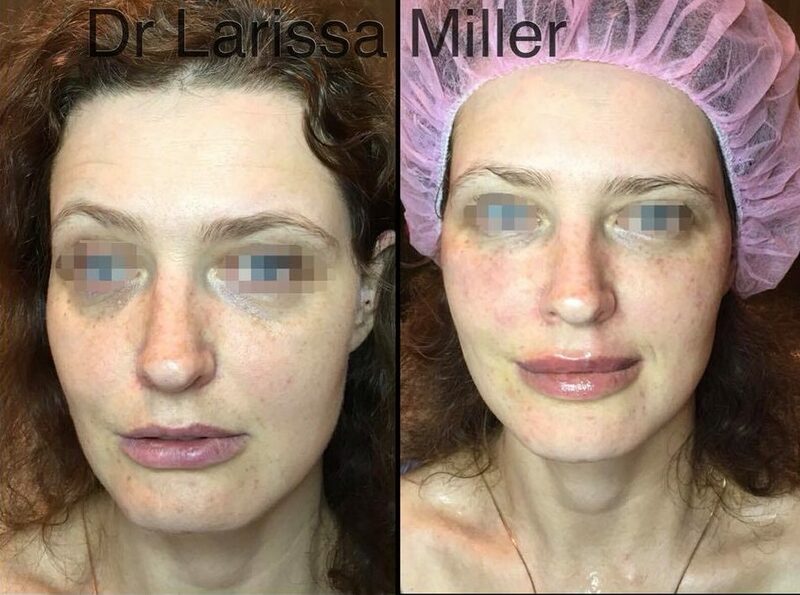 Firm dermal fillers to create mild face lifting effect. Longer lasting material, similar to patient’ bone materials. Muscle relaxant (anti wrinkle injections), targeted to relax muscles, which are pulling down your face structures. Cosmetic doctor injects muscle relaxant injections with care and in small amounts to ensure natural mild results and safety. As a result, overall balance of face tissues is lifted up. Mesotherapy to make loosen skin tighter and healthier, providing overall lifting effect. What is the most common non surgical facelift treatment at VISTA Clinic Australia Melbourne Clinic? Principles on nonsurgical facelift are to decrease what is pulling down and enhance what is lifting up. Best facelift depends on each and every individual situation, which cosmetic doctor at VISTA Clinic Australia Melbourne will discuss during consultation. 1. Lunchtime facelift with no or minimal downtime: Dr Miller peel +anti-wrinkle injections + filler. This is maintenance recommended at every few months intervals for our VISTA Clinic Melbourne patients. 2. Combination of permanent fat dissolving injections into lower face (double chin, sagging cheeks) + Threadlift (under local) of excessive sagging skin with wrinkles subcision + filler to enhance lift points. Sometimes may be amended by Plasma pen for tightening of skin around eyes and mouth. More downtime, when restoring from the scratch, may need few procedures. Most patients prefer to do all downtime procedures in 1 go and then just maintaining their appearance by regular cosmetic doctor visits. I see my cosmetic doctor regularly. Can I also fulfill my GP care at the same time? 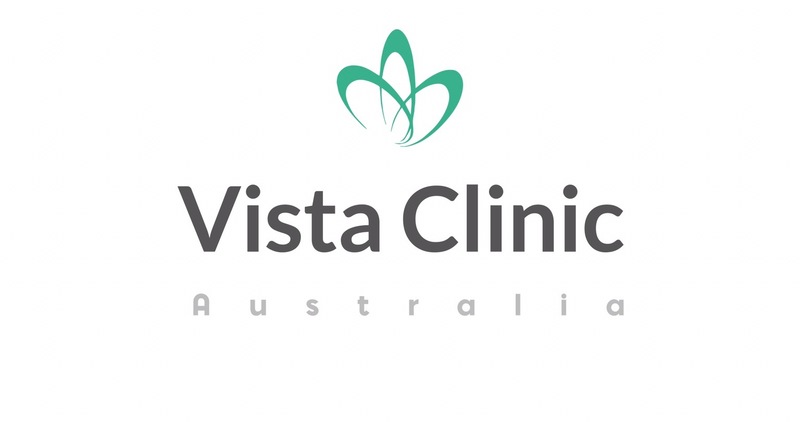 VISTA Clinic Australia Melbourne doctors look after our patients comprehensively and general good health and lifestyle are reflected in good skin and general appearance. Skin is commonly reflection of some underlying diseases and it’s important not to miss them. Our Melbourne cosmetic doctors are well trained in general practice, preventative standards and care. Regular, continuing care with the same general practitioner is highly recommended to ensure the best long term outcome, but at the same time, we appreciate that our patients are busy professionals and often don’t have time to go to doctor for a regular check up or even don’t have a regular GP. Therefore we are here to help. While you are seeing your cosmetic doctor at our Melbourne clinic, we are looking after your health also. Which is better – surgical or non surgical facelift? Surgical facelift is more effective, more invasive and involves more risks. General anesthetic, long rehabilitation and downtime, higher risk of permanent complications usually makes surgical facelift an option for more severe and advanced cases of aging changes. Non-surgical facelift is less invasive, less risky and downtime is usually limited by few days or no downtime at all (lunchtime cosmetic rejuvenation). 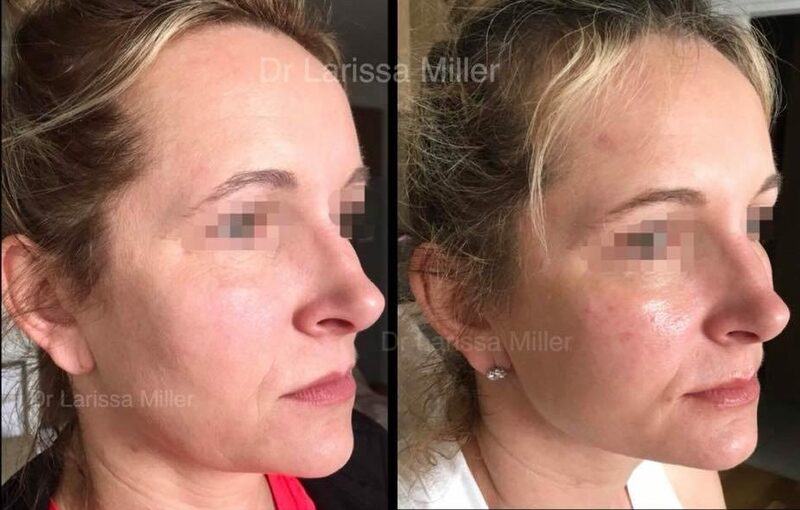 Depending on the situation, non-surgical facelift can be achieved with a special technique using fillers (starting from 1 ml) or, more often, combination of treatments. Regular non-surgical procedures in the hands of an experienced cosmetic doctor achieve great lifting of the face with non-surgical procedures and/or downtime. Cosmetic practitioners have multiple options for non surgical facelift and good news it’s mostly injections.